Many of us are afraid to ride horses, thinking it will make us fall or it will just cause us an accident. 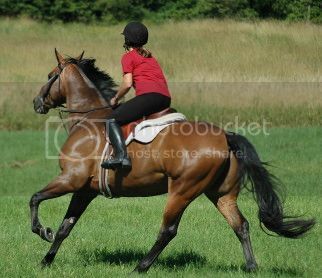 But aside from the thrill of excitement that we may experience from it, there are also some other benefits of riding a horse. It can relieve some stresses and can be therapeutic while moving around and enjoying the view while the cool breeze of fresh air keeps on touching your face. It can burn calories of approximately 200 calories per 30 minutes of just riding around. It can develop a good relationship with the nature and animal by taking care of it. Of course this is the great moment to donned your horse riding outfit like your hat, pants, white polo, equestrian tall boots and vest. If this is your first time to ride in a horse, have someone who is expert to accompany and assist you.